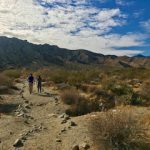 Home→Favorite Hikes→Mission Creek Preserve Trail – A Desert Hidden Gem! 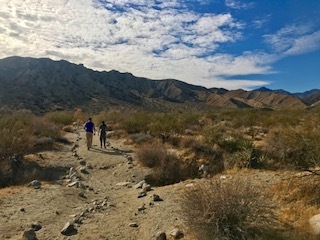 There’s nothing like ending a year with a nice desert hike, it’s our family tradition! 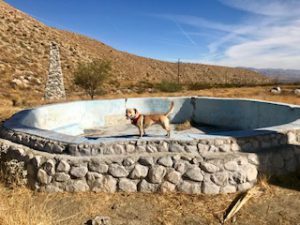 As we said goodbye to an exhausting year, we say hello to a busy new year with a new hike in the Palm Springs area. 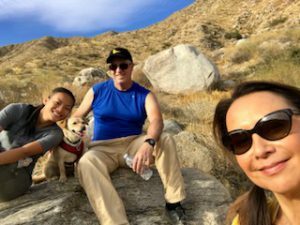 We found a hiking trail that was perfect for our family. 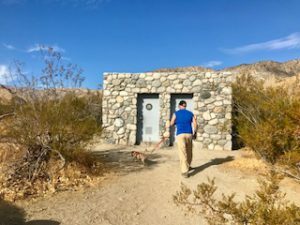 Our dog especially loved this hike! 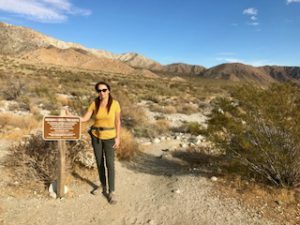 Mission Creek Preserve Trail, what a desert hidden gem! 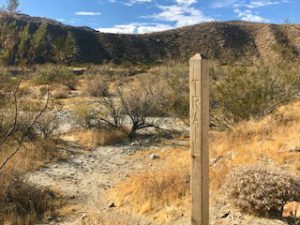 Just outside of Desert Hot Springs, northwest of the Coachella Valley, you’ll find the most beautiful trail. 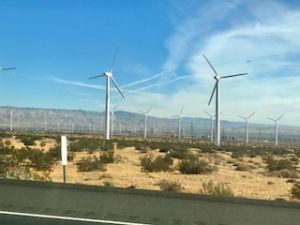 Off of Highway 62, passed the famous desert wind turbines on 4,760 acres at the Mission Creek Preserve is this little piece of heaven. 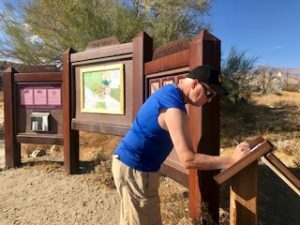 Tourists race right by the preserve as they drive to popular Joshua Tree. Lucky us! Make a left off of Highway 62 on to a dirt road called Mission Creek Road. 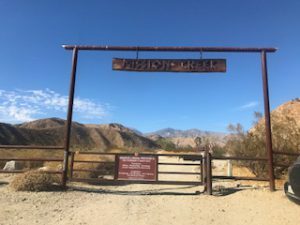 You’ll drive a few miles before getting to the Mission Creek Preserve gate, where the trail starts. You’ll see the big sign above the gate and you’ll know you’ve arrived! 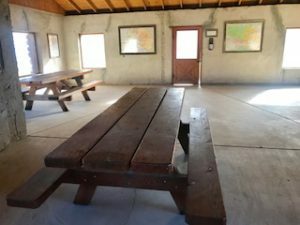 After you enter, you’ll find an information board and a map of where you’ll be hiking. The easy trail is a 3.5 round trip to a stone house and back. You don’t have to stop there, though. 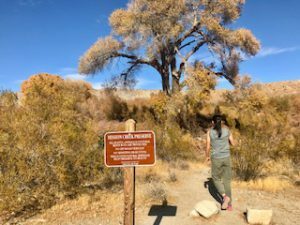 You can keep going for 8.1 miles roundtrip, if you want a more vigorous hike. The hike starts a slow uphill climb, but it’s not much harder, just longer. 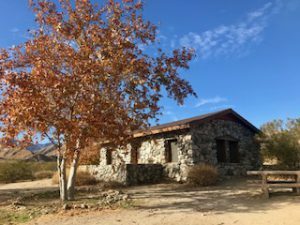 As you begin your hike, you’ll come across four stone cabins with nice picnic tables inside. Sit down, have a snack and some water. You did bring snacks and water, right? 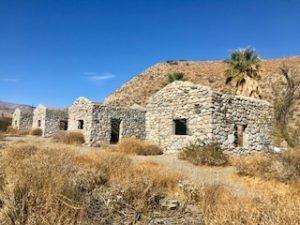 By the way, if you look behind these stone cabins, you’ll see an empty old stone pool. Must’ve been fun back in the day! Keep walking on the trail and listen closely! Soon you’ll hear running water. 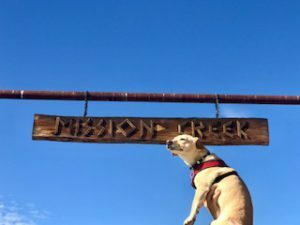 The trail runs right next to Mission Creek, which you’ll be walking by for much of the hike! Our dog absolutely loved strolling in the creek! 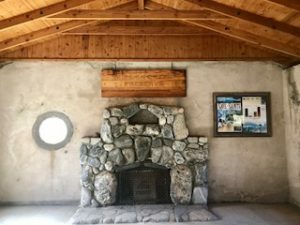 After awhile, you’ll come across a quaint stone house that’s in perfect condition. You’ll find picnic tables by lovely shady trees. You can go inside of the house where there are more tables and a fireplace. There are nice bathrooms just outside, with running water! If you get a permit, you can even camp out here. Most leisure hikers turn around and head back at this point. 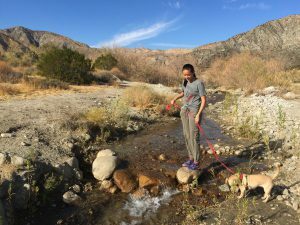 We continued on the trail and crossed the creek. Our dog was so happy! We hiked amongst the spectacular rolling hills. We stopped after a few miles to snack. We took in the scenery and then headed back before darkness. The temperature drops big time when the sun goes down.